We all know that the heart is the path of choice if we want to truly experience happiness in our lives. Yet we all need to be constantly reminded about its beauty, power and wisdom. 1. Your heart helps you live intuitively. In the field of energy it has been said that your heart chakra is the bridge between your spiritual and physical reality. It is the entity that helps you connect with your spiritual self and creates oneness between your spiritual and physical reality. Your heart is, by essence, intuitive. When you live intuitively, things in your life are simpler, clearer, and you are able to focus on what is really important for you. 2. Your heart is a master healer. Your heart is the organ in the body that has the biggest energy field. A vast energy field is able to generate momentum for clearing and creating deep shifts. The process of healing is multidimensional, holistic and organic. It requires the ability to be in the now which is the foundation of the heart. 3. Your heart helps you reinvent yourself. Every breath gives you an opportunity to renew and create a new life. You cannot reinvent yourself from what you know, you can only reinvent yourself if you choose to be in the moment, in the unknown; where your heart lies. 4. Your heart creates happiness. An open heart does not resist, shut down, react, assume, judge, compare, or hide. 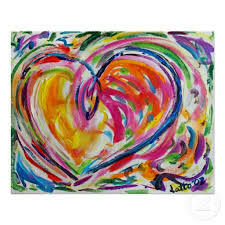 An open heart embraces, receives, welcomes, accepts, reaches out, uplifts heals, forgives and inspires…to name a few. When you experience these states of being, you experience happiness, openness and serenity at a new level of depth. Choose to live in your heart. Trust its inner knowing and expand from there. The guidance you receive will help you stay stable within yourself no matter what is happening in your life. Do you want to be more connected to your heart? Take a 25-minute complimentary session with Tejpal to get key insights for more happiness in your life.